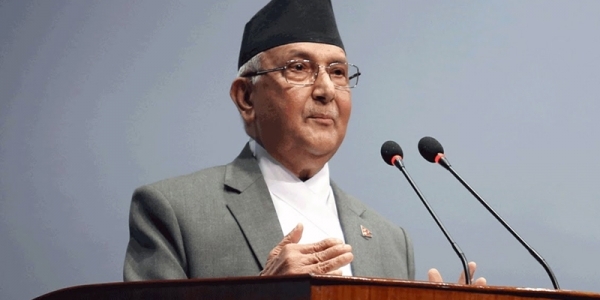 Kathmandu –Prime Minister KP Sharma Oli today pointed out peace and security as the first step for pursing prosperous Nepal. “The Nepal police should play an important role in implementing the campaign of ‘Prosperous Nepal, Happy Nepalis’. The police should be more responsible and active in the days ahead,” he said addressing an event organised by the Police Headquarters on the occasion of the 63rd Police Day. He also vowed in the capacity of the head of the government to create an environment conducive for security agencies including the Nepal Police to work responsibly in the coming days.